Clubby VII is made from a tie-dyed purple and blue material with black button eyes and a larger black button nose. He has a rainbow coloured ribbon tied around his neck and a BBOC button on his chest. Our Clubby VII is the best! Clubby VII was released on 29th September 2006. His birthday is on 17th September 2006. 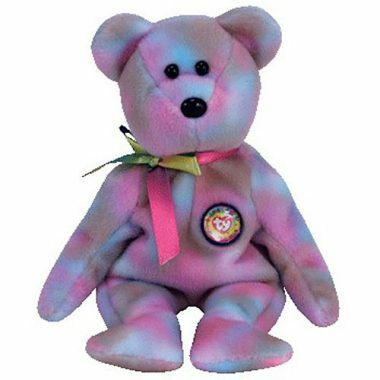 Clubby VII is one of the Beanie Baby Official Club Bears.